We’ve all been there: our hardworking medical equipment wears out or breaks down and it isn’t possible to repair it again. It’s time to find a replacement medical part and quickly, but it isn’t to be found locally and you just don’t have the time or the budget to spend days searching. Finding a source to serve all of our medical parts needs, for all types of medical equipment and covering all of the manufacturers, is not an easy task. That’s why MedWOW, in addition to providing the most comprehensive medical equipment portal available, decided to form partnerships with some of the most all-inclusive medical parts finder services, ensuring that their ability to find even the most obscure medical parts is possible. 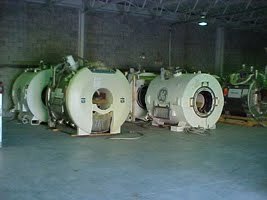 That means that ANY diagnostic imaging and biomedical category found in healthcare settings are covered, including veterinary and dental medical equipment parts. The medical Parts Finder form requests buyers to fill out the online form in as much detail as possible, including fields for: category, device, manufacturer, model, parts detail, version, destination and other factors. MedWOW’s dedication allows your healthcare facility to run without interruption, as with the medical Parts Finding Service, most parts can be located within 48 hours. You can also search for more easily found parts using the portal’s search engine. With a state-of-the-art database featuring inventories from hundreds of dealers and manufacturers, you can see at a glance if the medical part you require is available for purchase. Some of the most popular general search categories for medical equipment parts include: imaging, cardiology, endoscopy, gastroenterology, neurosurgery and many more. You can opt to use the free text quick search, if you know the exact make, model and number of your medical equipment part. You can also choose from a drop-down list of medical parts or choose your medical part according to category. Another alternative is to post a detailed buying lead for your required medical part, and receive competitive quotes from sellers and relevant service providers. Whichever method you choose to find your medical equipment part, the folks at MedWOW will ensure that if it is available anywhere in the world, that medical part is yours!